Sun., July 22, 2018, 6:03 p.m.
DEL MAR, Calif. – Jockey Victor Espinoza was injured when the horse he was riding at Del Mar racetrack collapsed during training and died. Racetrack officials say Bobby Abu Dhabi suffered an apparent fatal heart attack during a workout Sunday morning. Espinoza was thrown off the horse, then lay motionless for several minutes before being fitted with a neck brace and taken by ambulance to a hospital. Agent Brian Beach says the 46-year-old Hall of Fame jockey suffered a fractured vertebra in his neck and a “stinger” to the left shoulder and arm. He says Espinoza will remain in the hospital overnight, but doctors expect a full recovery. 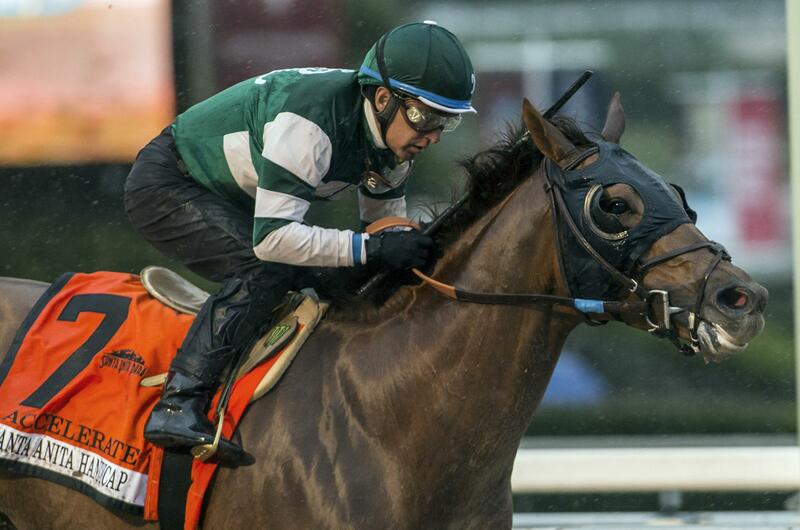 Four-year-old Bobby Abu Dhabi was training for the Bing Crosby Stakes next Saturday. Published: July 22, 2018, 6:03 p.m.